It is important to do sports activities, fitness and a host of other physical activities to keep you healthy and happy. Knowing the right exercises to do to prepare for fitness activities is key. Our physical therapists have years of experience helping people rehabilitate after injuries and return to the activities they enjoy. 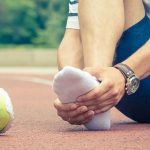 What some people might not know is that physical therapists can help put a specific exercise plan together based on your needs to prevent injury. If you do start to experience pain with activities, we can get you back to enjoying your activities, pain-free. Call Achieve Therapy today to learn more about how we can help you get back in the game!